You are here: Home / Uncategorized / Croatian Watergate – or is it? ‘Allo, ‘allo! Croatian Watergate – or is it? ‘Allo, ‘allo! Croatian Vecernji List newspaper dropped a “bomb” on Saturday October 20 as it uncovered a privacy breach scandal dubbed “Croatian Watergate”, spinning the government and the president into top gear of political manoeuvrings designed to take the public’s mind off the real issue: are there/were there serious breaches of privacy in Croatia. According to the Vecernji List exclusive article Croatian police had, under the political leadership of the minister for internal affairs, Ranko Ostojic, abused the secret data collection system and carried out unauthorised surveillance of heads of the National security agency (SOA) as well as some key people from Agrokor corporation. Unauthorised surveillance included adding to the phone contact lists of those under criminal investigation the phone numbers of persons from SOA and Agrokor. Who talks to whom, why, who knows who and what no good are they all up to maybe, type of thing. Thunderbolts as divine weapons can be found in many mythologies and Croatia could really do with one right now even though there’s no mythology about the pathetic mishandling of real issues here. A thunderbolt could at least bring some semblance of agreement on important privacy rights issues between Croatia’s President and its Prime Minister. Once again the gap in opinion and knowledge or important issues between the two is striking and concerning. Monday 22 October, Prime Minister Zoran Milanovic and president Ivo Josipovic called a joint press conference on the matter. Well, one knew things are serious when the two top wigs joined in an extraordinary press conference. Ah yes, but truly disappointing. They were neither clear or synchronised nor unambiguous, writes Dnevno.hr. Josipovic, for example, had emphasised that the fact that SOA chief contacted members of criminal groups does not need to mean that he did something that is illegal, while Milanovic said that SOA chief must not communicate with members of the mafia, not even recreationally. The thunderclap produced by these clashing statements roared from the minister of internal affairs Ranko Ostojic’s mouth as he explained that surveillance was done because the head of SOA was in contact with members of the mafia! October 23 – National security (SOA) chief, Petar Misevic, was dismissed from duties by Prime Minister Milanovic and President Josipovic amid media reports of illegal phone call monitoring of officials and businessmen. To make the matters worse Milanovic was heard saying on Croatian TV news that possessing private lists of phone numbers an individual calls etc is a normal thing! All phone companies have them! 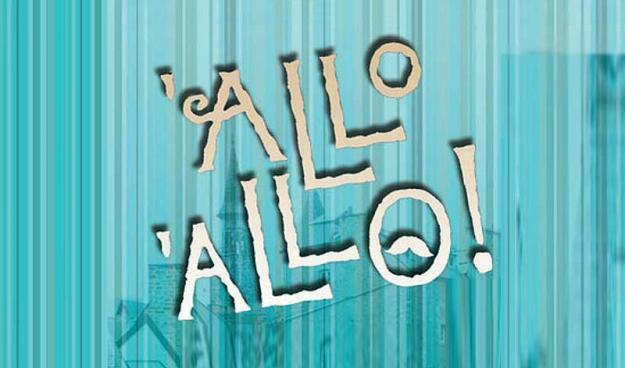 Good old private ‘Allo, allo – now open slather to everyone! For crying out loud! Of course they have them but they cannot release them or hand them around without police/court authorisation. That’s why privacy legislation exists Mr Prime Minister! Tomislav Karamarko, president of largest opposition party Croatian Democratic Union, asked: if it’s normal to have such lists why then was the head of SOA sacked. Karamarko, though, has become a handy target for the diversion from the real issues of security and privacy breaches. I.e., having said that he had seen the official report on the matter as it arrived in the office of parliamentary committee on internal affairs and national security questions and innuendos suggested that he may have obtained such a report improperly (as perhaps through lines of contacts within internal affairs which he headed as Minister in the previous government). Then foreign minister Vesna Pusic jumps in and says that “Nobody from the EU has asked about the secret services affair… the affair is made bigger than what it is and there are problems with professionalism in those services when it comes to information leaks outside official channels of communication.” Pusic too has lost the plot on this one, she completely ignores the fact that such colossal breaches of privacy are a big issue! A really big issue! Then comes Thursday 25 October and this affair is not as small as Vesna Pusic wanted us to believe. It’s huge! Milanovic has announced war against mafia! Is he serious or is he clutching at straws for political survival? He said “someone came into possession of documents they had no right to. Someone wanted to evict a fox and instead it’ll be a grizzly bear”. The parliamentary committee for national security will investigate further, Milanovic said. Josipovic said Misevic’s dismissal was part of an intelligence overhaul that included the recent replacement of the head of the Security and Intelligence Agency, one of the security bodies overseen by the council, which reports to the Prime Minister and the President. In the meantime things are as usual: a disjointed and uncoordinated intelligence and national security system reigns under this government and under this president. Certainly they could learn a lot from the times under Dr Franjo Tudjman’s leadership when discord between various branches of national security and intelligence was non-existent. Tudjman knew that no political system can survive or operate successfully without a coordinated and fully functional national security system. As Prime Minister, Milanovic picked-up where Ivica Racan left off in 2003 and Josipovic picked up where Stjepan Mesic left off in 2010 – creating chaos and disorder in the spine of a nation – in National security. They created a situation where clashes and disagreements between various units of the National security services have become rife and procedures (assuming they exist) get forgotten and ignored. It’s like every man for himself within an organisation that’s supposed to work in unison and be coordinated, finely tuned to set procedures that apply across the board. Hence, it seems that no unit does its job, that no one keeps an eye on the effects of foreign intelligence services on Croatian national security. Could it be that the biggest mafia in Croatia is seated within government institutions and that’s why corruption and large-scale theft have not been rooted out yet? It is these that jeopardise the national security? Things smell of political point scoring rather than getting down to rooting out of corruption and organised crime. EU monitoring does include measures in dealing with organised crime and corruption and Milanovic’s government say they mean business. But indications are that they mean to create a great deal of hoo-ha and little results for stemming out corruption. The minister for internal affairs Ranko Ostojic (who is now under special police guard) has let this cat out the bag. He said October 25 “… shortly said, we are executing a political purge.” That goes rather well with President Josipovic’s utterance: “we uncovered weaknesses (in national security) and we must remove them”. A perfect match under the Social Democrat tent. My favourite scoop here is that Ostojic, our Minister of Internal Affairs, is living in Maksimir, in a flat owned by well-known snake head of Croatia’s media mafia, Nino Pavic. And he doesn’t see anything wrong with that (and neither do Milanovic/Josipovic apparently). I think when Milanovic made the comment that Croatia was a paradox of a country, while he was in Germany, he was strictly talking about his back yard. God help us. Exactly Marko – it’s ok if Milanovic spends his holidays in Tedeschi’s villa on Hvar as long as there is nothing shady going on. And of course everyone just KNOWS that nothing shady would ever occur between a tycoon and the spineless fraction of a politician he happens to be entertaining at no expense. Sooner or later someone has to explain to the political (let’s call them) “elite” the meaning of conflict of interest. There’s nothing worse in a country’s life than when mismanagement can be traced down to the politicians’ incompetence and not much can be done about it to next elections. Even then things get hopeless. This current lot is just sad, they are as popular as a fart in a submarine, they run around like chicken (well deserved name) with new headlines coming out of their beaks to keep turning the public attention away from the misery life of many has turned into…there must be an end to this soon. This a a very serious breach of our national security that the only word comes to my mind is espionage. Espionage in itself at any goverment level is very dangerous. One must first understand why one agency was spying on another in a covert operation and the relevance of the information stolen or leaked and its implications. When a political purge occurs that is a sign that there are problems higher up in the chain of command that is trying to be covered up. One also has to remember that there are a lot of people vying for political power in our young country and many trying to become over night millionaires through persuasion and corruption. This not only includes politicians but also business leaders.Politicians in every country receive benefits from the private business sector in many forms such as free corporate travel, places to stay, political contributions etc. I do not agree with this practice because it does lead to further corruption,persuasion of favoritism that never benefits the people in general. I suspect that the real issue here is a struggle of political parties and power rather then corruption of our overall system. It is time for new leadership in Croatia.